MILLER: I THOUGHT I HAD TO RETIRE OR CRASH! Jack Miller has revealed a faulty light on his dash and mystery vibration in his bike restricted his progress during the Aragon GP. 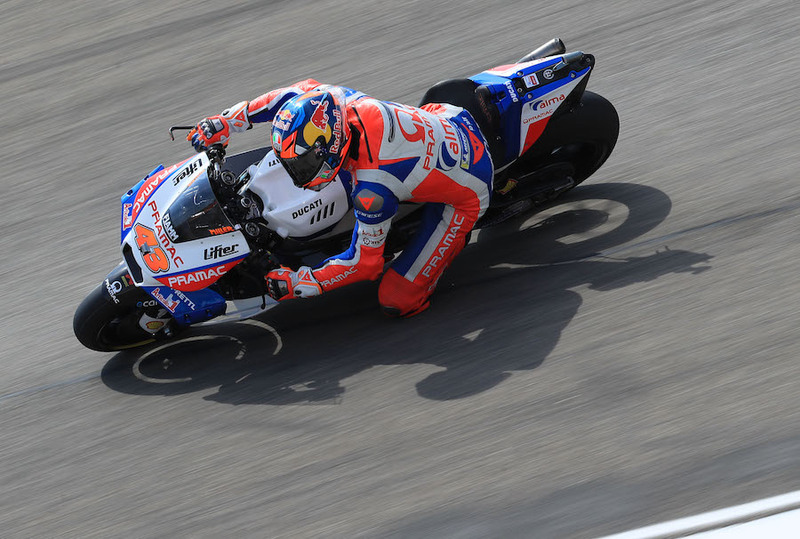 Miller rode alone in eighth for most of the race until he gave the position up to Valentino Rossi with two laps to go. The Australian said a rogue tyre light illuminated on the first lap, while a vibration left him cornered towards the end of the race. “I thought I was probably going to have to retire or crash,” Miller said in his Red Bull column. “I’d been riding with one eye on that because the whole race, from the first lap, the tyre light came on my dash warning me about the tyre consumption. “I knew that wasn’t right because it was so early in the race, but you knew it was coming, and I just kept counting the laps down waiting for a drama.